We're focused on building new ways to help make it easier for businesses to interact with the over 1 billion people visiting Pages every month. Businesses and people already use Facebook to fill and find jobs, so we're rolling out new features that allow job posting and application directly on Facebook. 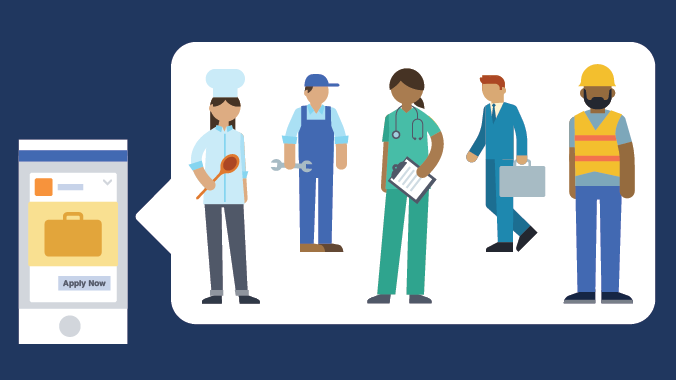 Beginning today, businesses in the US and Canada will be able to post job openings, and their future employees will be able to easily find those posts on their Page or in the new jobs bookmark. This new experience will help businesses find qualified people where they're already spending their time—on Facebook and on mobile.